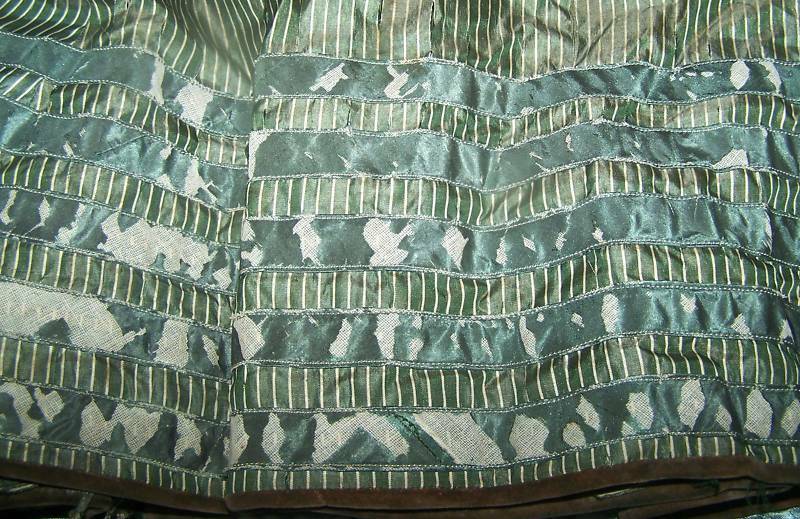 All The Pretty Dresses: 1890's Bodice and Skirt with Green Stripes! Welcome to Sullen Girl Vintage Clothing Boutique! 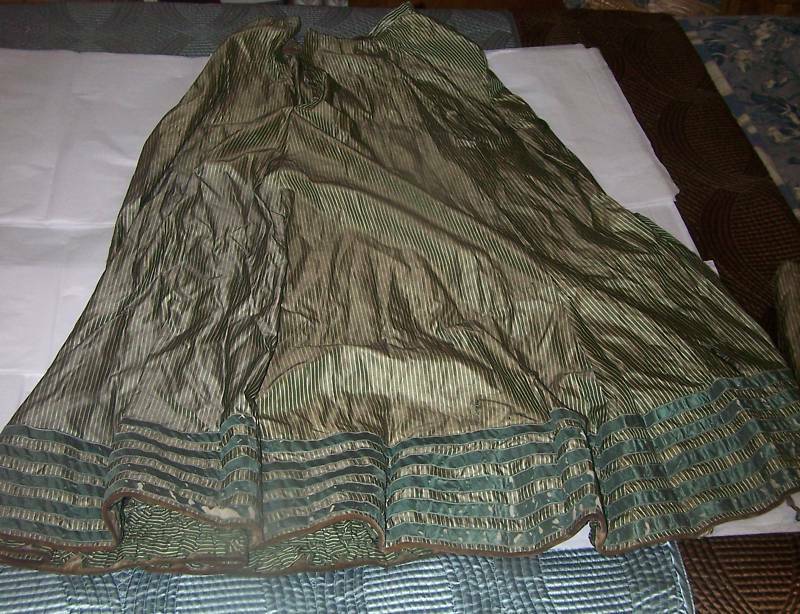 This is a pre-1900 green pinstriped skirt suit in a raw silk fabric that is very thin. The fabric is torn and worn here and there... the set is far from perfect at all! 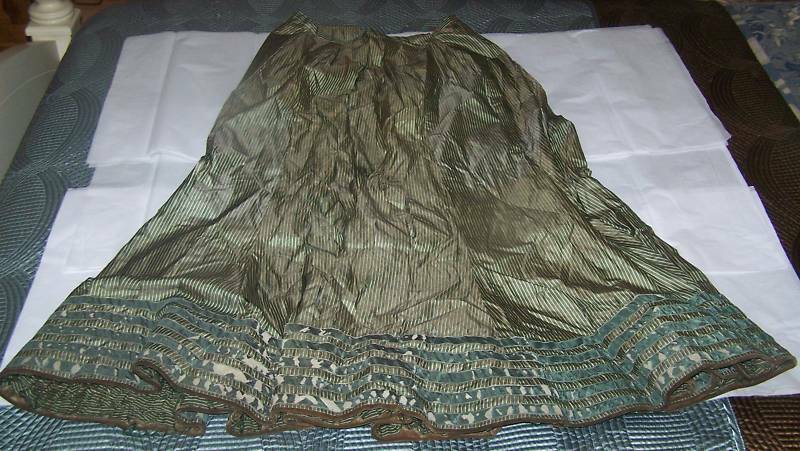 There are cuts in the fabric of the skirt and wear at the bottoms hem. 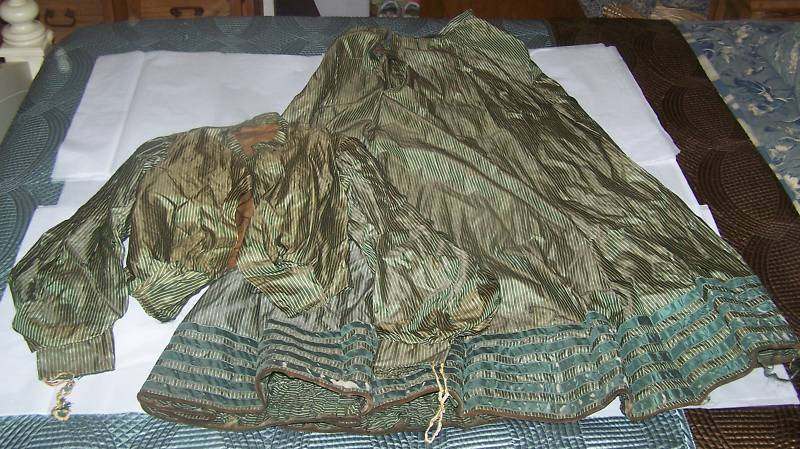 The jacket is also quite worn. The set is a fantastic throwback to the old days, when clothing was made with such regal style, but it is in disarray. The set is in poor to fair condition at best. The top is very small and the skirt is very big. All of our items come from a smoke-free home and most of the items have been pre-laundered unless noted. I'm a bit leery of saying 1890's on this one. The skirt does look 1890's but the bodice, with those bishop sleeves and particularly the waistline, looks a bit earlier. maybe someone remade Mom's old silk gown?